About a millions of people in UK are missing all their teeth in their lower jaw. Many of them struggle to keep their false teeth secure. 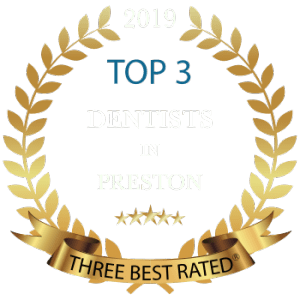 If you are one of them, you already know about the embarrassment of loose denture, not being able to eat to chew your food properly and the ineffectiveness of denture adhesives. Fortunately, there is now a way to stabilise your denture with implants and make it work the way it was intended. Although dentures can adequately work well in replicating the look of real teeth, they often fall short when it comes to their function. Now you can keep your teeth in, enjoy your food and look good with Implant dentures. With new lightweight polymer over dentures available, we are able to get rid of the big bulky acrylic plastic dentures that have been around since the beginning of the last century. Implant dentures eliminate the need for denture adhesives and presents a new level comfort and ease in patient’s life. This option can even make sore gums obsolete. Recent studies have shown that over 70 percent of patients seem to be unhappy with their dentures. Common problems with traditional dentures include discomfort, movement and clicking. Other concerns are instability and a fit that changes over time. We understand that dentures initially seem like a convenient choice for tooth replacement. However, they do not engage with the jaw bone. Over time, bone deteriorates and changes the fit of the denture. Implant dentures are supported by implants placed within the bone. This offers a far more secure fit, feel and function over traditional appliances. 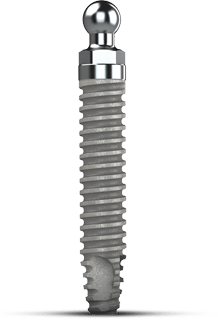 In this procedure titanium screws (Dental Implants) with integrated ball-tops or magnetic attachments are placed, where they will fuse into the bone. The procedure typically takes couple of hours and is performed under local anaesthesia. Your existing denture is modified to sit comfortably over the implants during the healing phase. After the implants have healed, your denture is modified to snap onto the ball-tops. 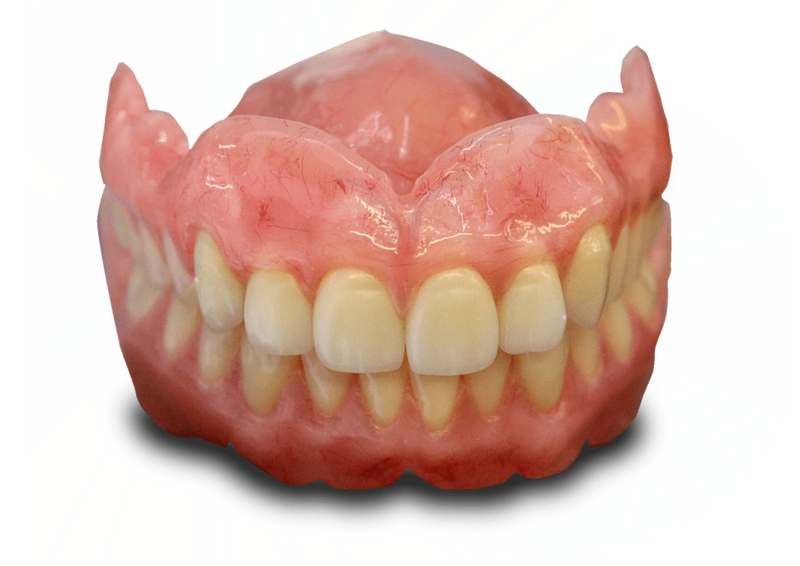 This denture will be secure until you remove it for cleaning. Daily cleaning of Implant dentures consists of removing your denture at night and brushing around your Dental Implants to remove any food and plaque. Brushing also stimulates blood flow in the surrounding gum tissue. 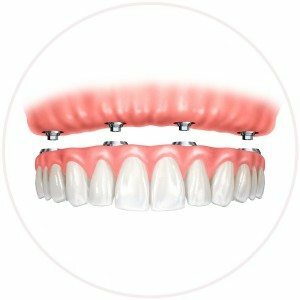 As a removable denture has been made to fit over your dental implants, it is important that, your denture is replaced every five to seven years, by your Implant dentist. Implant Supported Denture Candidates ! Ideal candidates will have sufficient jawbone density to support the dental implants. Those who are not eligible for a full set of single tooth dental implants often choose implant dentures as an alternative, since the solution can still provide many of the same benefits. Conversely, patients with poor jawbone quality may not be candidates for implant supported dentures. Dr. Tehranian will help you determine which method of tooth replacement can best achieve your goals. In this procedure multiple implants are placed. The implants are left to heal for a few months; exact time will depend on the quality of the bone in which the implant is placed. 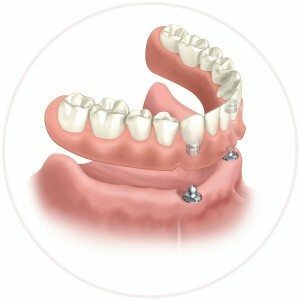 Four implant supported abutments are secured into the bone and the denture appliance is then seated securely in place. As with every treatment offered at Lane Ends Dental Practice, implant supported dentures are highly customised to the needs of each individual. This is why there is not one fixed cost for the procedure. How much you can expect to pay will ultimately depend upon a combination of factors. 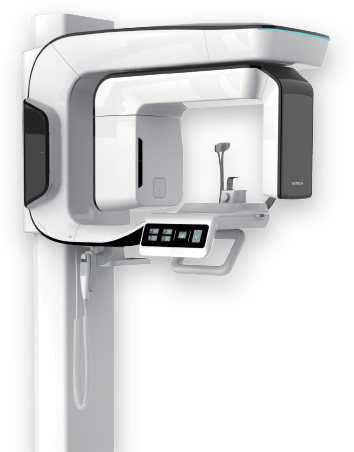 This includes the number of implants, restoration material, experience of your implant dentist and dental technicians involved. Dr. Tehranian will discuss your treatment plan in detail to help you understand every component that is involved and the associated fees. Should you be interested, our team can also discuss possible dental financing options you can utilise to make the total cost of implant supported dentures more affordable for your budget.